Dr. Lum is a graduate of Santa Clara University (major in Biology & minor in Psychology) and the University of California Berkeley School of Optometry (Bachelor of Science in Physiological Optics & Doctorate of Optometry). He is a member of The American Optometric Association, California Optometric Association, San Mateo County Optometric Society and the California Optometric Laser Associates. 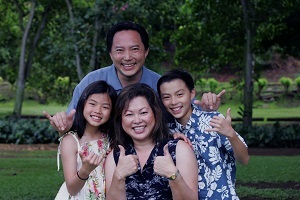 Dr. Lum is also a member of the Daly City, Colma and South San Francisco Chambers of Commerce. Dr. Lum has worked as a consultant for Johnson & Johnson Vision Care Inc. (Vistakon/Acuvue) and a guest speaker for Vision Service Plan (VSP). Dr. Lum has been practicing in the Bay Area for the past 24 years and our practice has been serving the San Mateo Pennisula and South San Francisco since 1977. 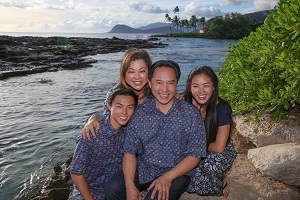 Dr. Lum is a fourth generation Chinese-American born and was raised in Honolulu, Hawaii where he attended Punahou High School (President Barack Obama alma mater). He enjoys traveling, reading and spending time with his family. Dr. Lum has traveled to Guatemala and the Philippines with Volunteer Optometric Services to Humanity to provide free eye examinations and glasses to the needy. Locally Dr. Lum does volunteer eye exams at the Samaritan House in San Mateo, through the California Vision Foundation, SSF Lions Club and with InfantSee. If you know of a child in need without vision insurance, please speak with Dr. Lum about a donated (complementary) eye examination. Awards: Boy Scouts of America (Eagle Scout), WICHE (Western Interstate Commission for Higher Education), Frederick W. Brock Doctor of Optometry Binocular Vision (doctorate thesis award).